There is a person I love dearly. He’s one of my people. He’s one of the people who have pushed me when I needed pushed, and been a safe harbor for me in a storm. He gives nods to me every chance he gets, and I try to do the same when I can. Behold, Kevin Patterson of Poly Role Models. You see, in addition to his 18 billion speaking engagements (THE KEYNOTESSSSS), his multiple partners, his muggle job, and his tiny humans he managed to write a book. 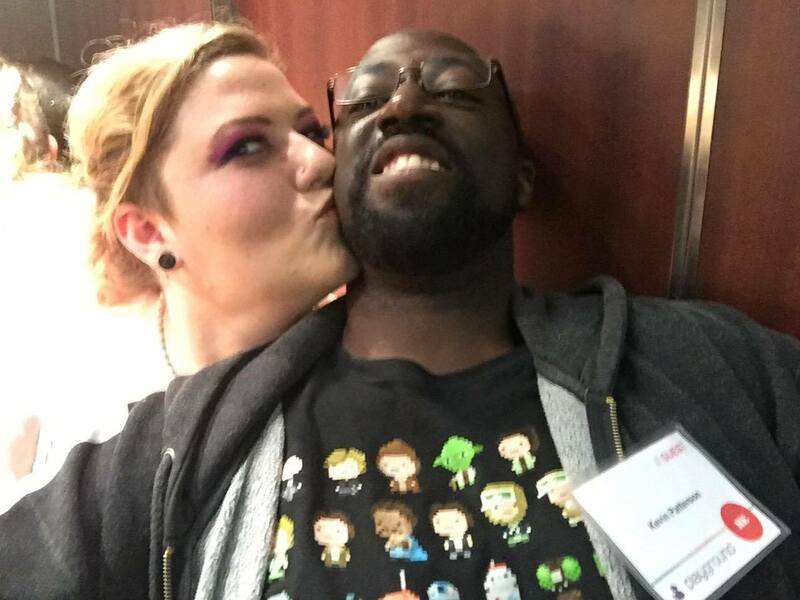 Kevin has been working on has finished a book for the polyamorous community that can shed some light on a really sensitive topic: Race and polyamory. So my final act of 2017 is going to be sharing this magical, wonderful human’s book “Love’s Not Colorblind”. The reality is that there isn’t much coverage of people of color in polyamory. Hell, we only recently got a photo of multiple feet sticking out from under a white bedspread that didn’t only include white feet. 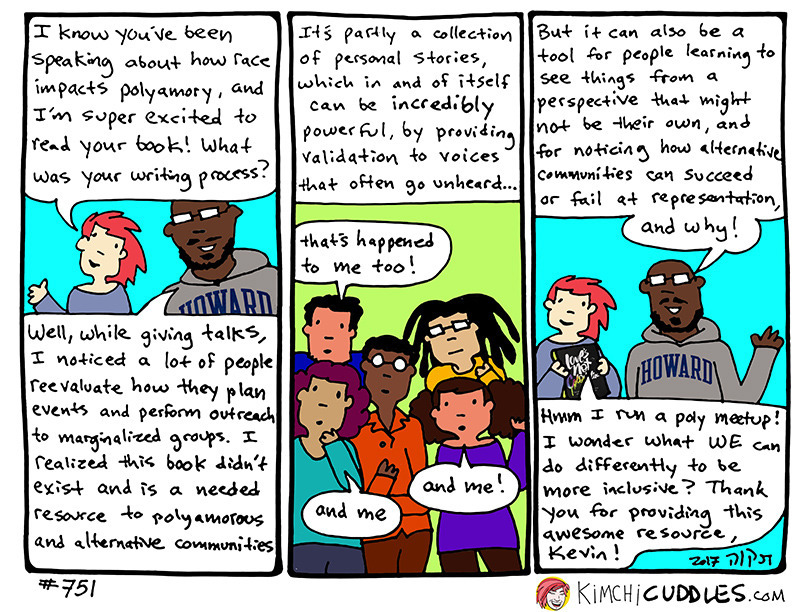 Kevin’s work is so deeply important to the thousands of people of color who engage in polyamory, as well as the white folks in polyamorous communities. Kevin’s book “Love’s Not Colorblind” takes a frank approach at sharing the stories and experiences of people of color, while giving a helpful, warm education to white folks to help them understand what issues they might not be noticing. For people of color, it will hopefully give a sense of community, and leave readers feeling like they aren’t alone (I’m using what people have told me, given that I’m white). For white folks, it will definitely give you actionable steps to take to create more welcoming spaces for people of color, and to examine your own behavior so you don’t engage in problematic behaviors that can hurt your community, and the people within it. We’ve spent 2017 talking about being activists, and allies, and working to dismantle oppression. This is a place to start in the polyamorous community. So step up, give back, and do good things for 2018. You can start by supporting Kevin’s book tour here. Or, if you can’t support Kevin’s book tour (which you should) you can purchase Kevin’s book here.